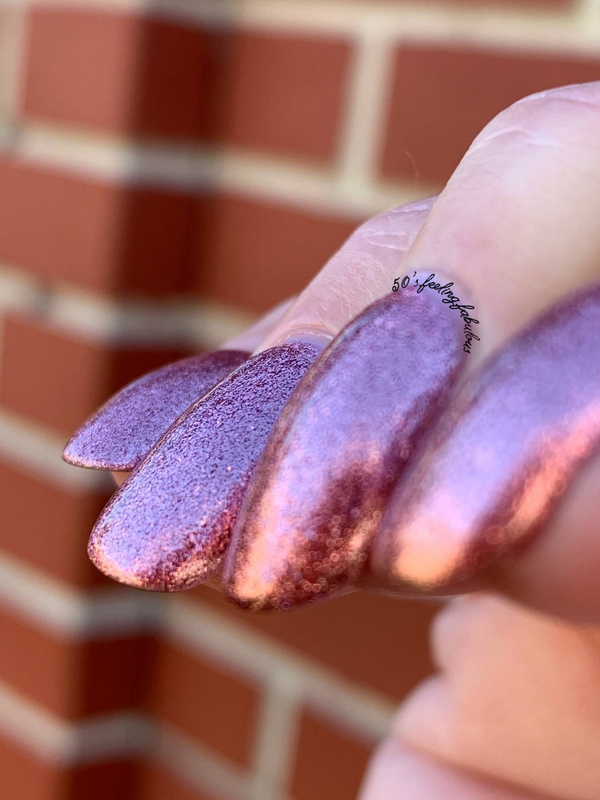 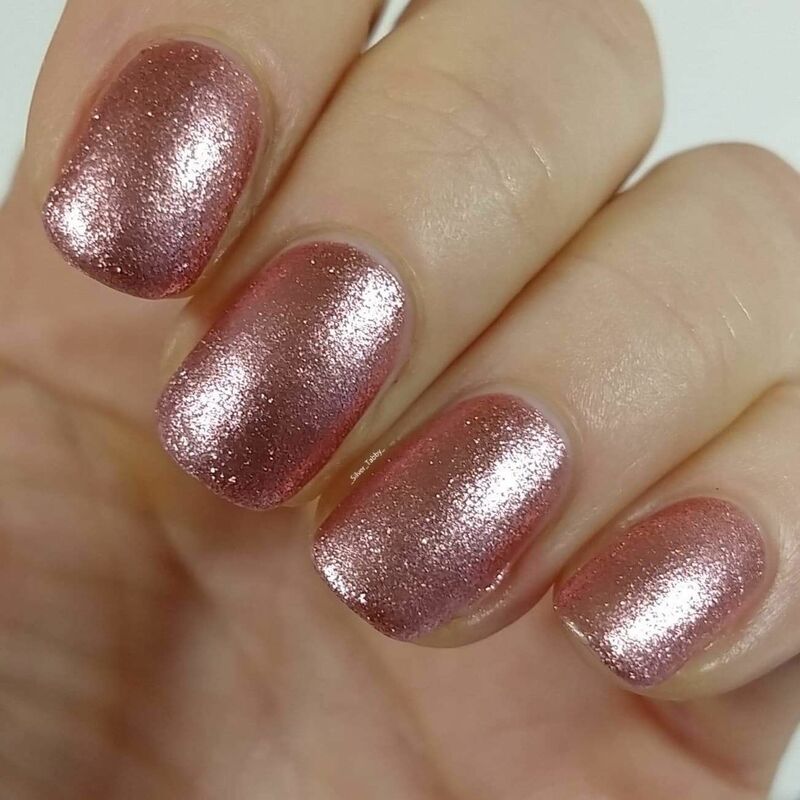 "I nearly forgot my broken heart, it's taking me miles away, from the memories of how we broke apart, here we go round again"
This rose gold metallic effect micro flakie polish is opaque in just 2 brushed on coats! 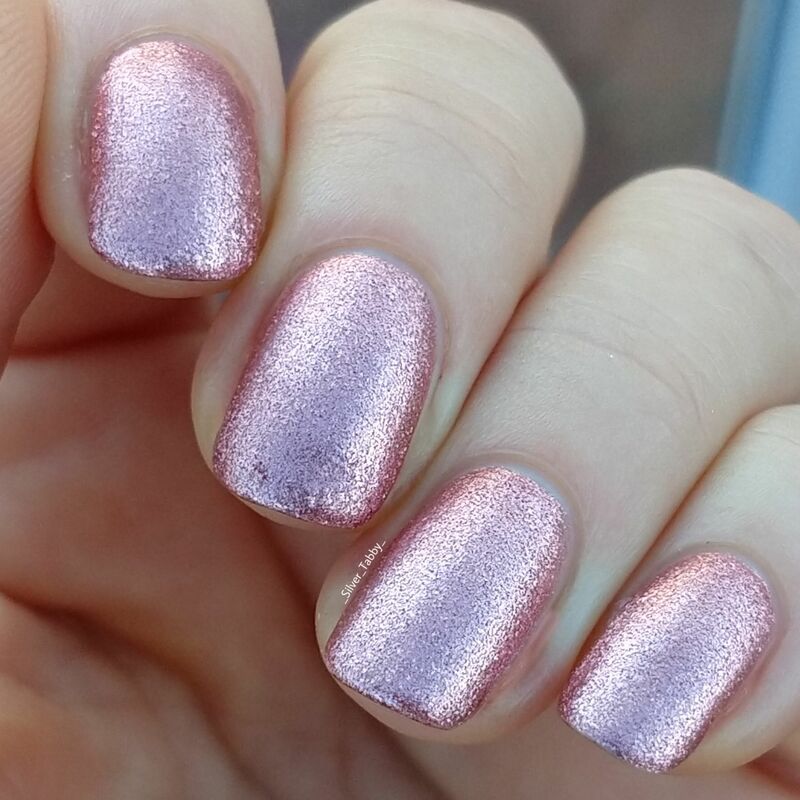 This polish is full of sparkly bling but contains no glitter, so is much more easily removed. 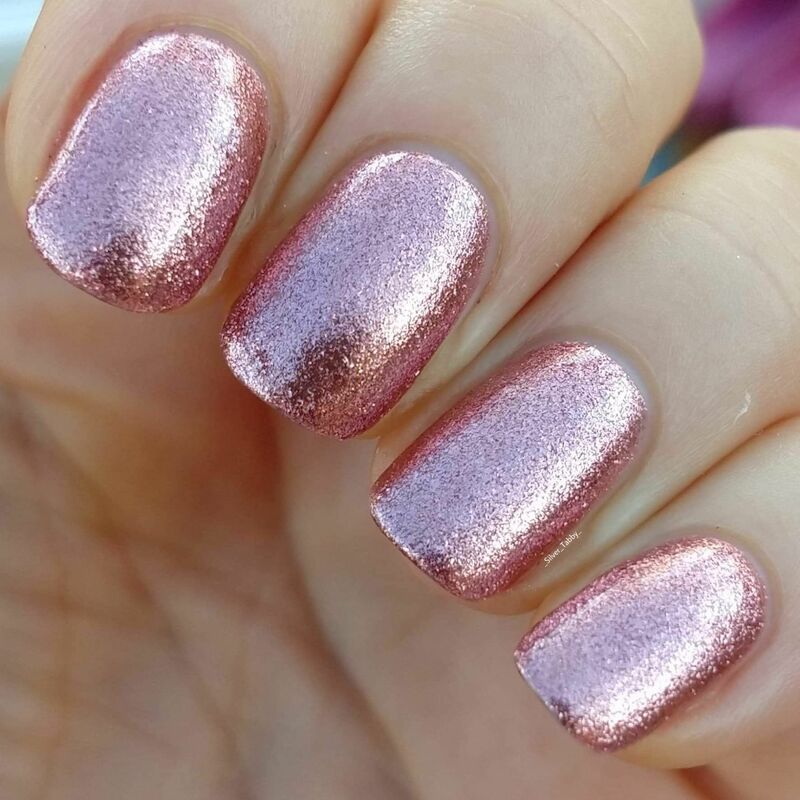 The perfect winter pick-me-up to treat yourself.